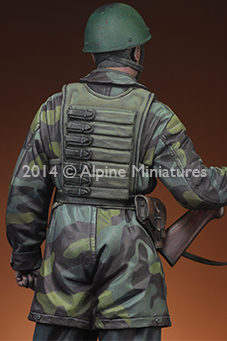 The Modelling News: Alpine's Italian parachutist from the Nembo division comes with to head choices - seems two "fasces" are better than one..
Alpine's Italian parachutist from the Nembo division comes with to head choices - seems two "fasces" are better than one.. 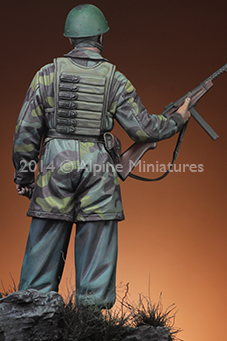 The pictures show the figure with 2 different heads. 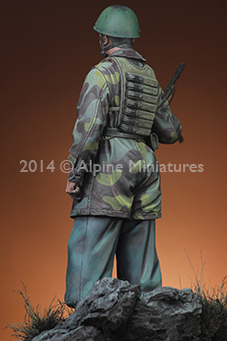 available through Alpine Miniature’s Stockists worldwide. 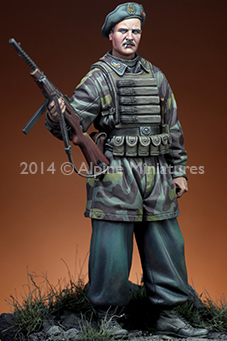 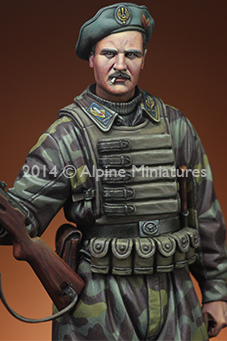 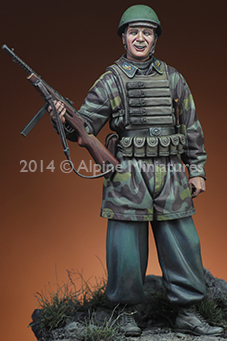 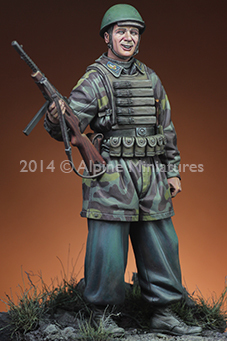 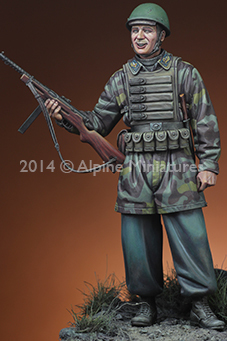 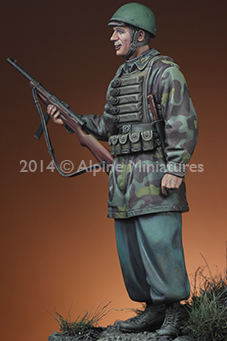 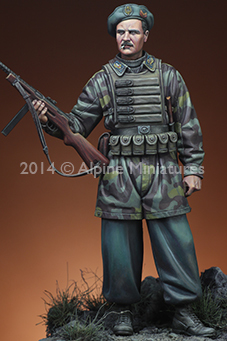 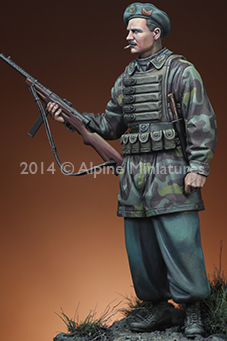 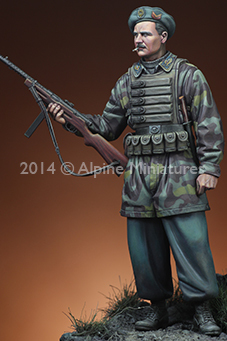 Alpine Miniatures has combined the sculpting skills of the very talented Mike good and the painting skills of Calvin Tan to release this their newest full body sculpt of an Italian Paratrooper of the famous “Nembo” Division from Mussolini’s army in World War Two. 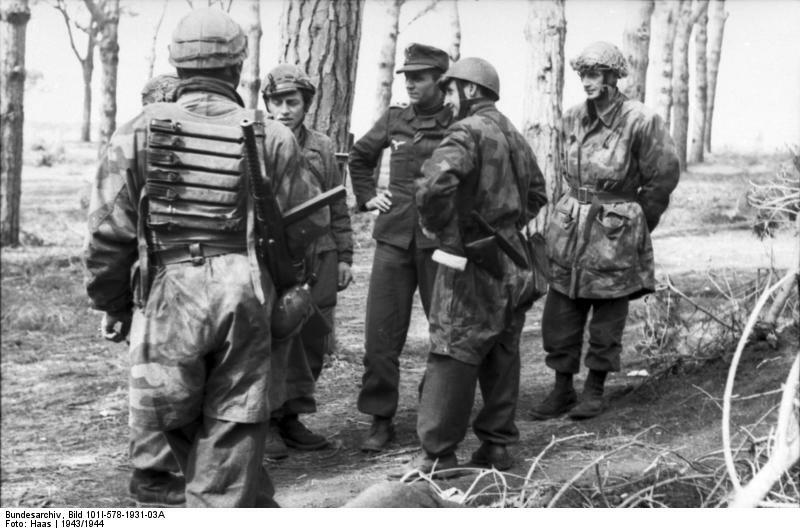 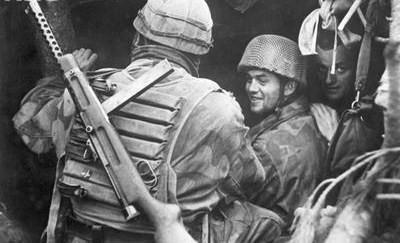 184th Airborne Division Nembo or 184th Divisione Paracadutisti Nembo (Italian) was an airborne division of the Italian Army during World War II. 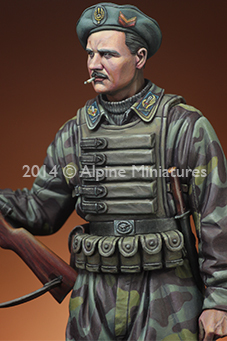 The resin sculpt comes with the choice of two heads with a very different look and both wearing different head gear. 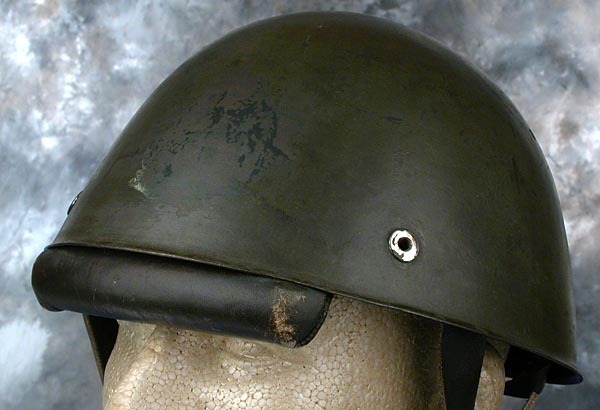 One is the standard pattern Italian steel helmet with the padded leather cushion on his forehead, the fellow being clean shaven whilst the other head choice is a more hard faced man, Moustached with a much harder face silently looking on with a cigarette in his mouth. 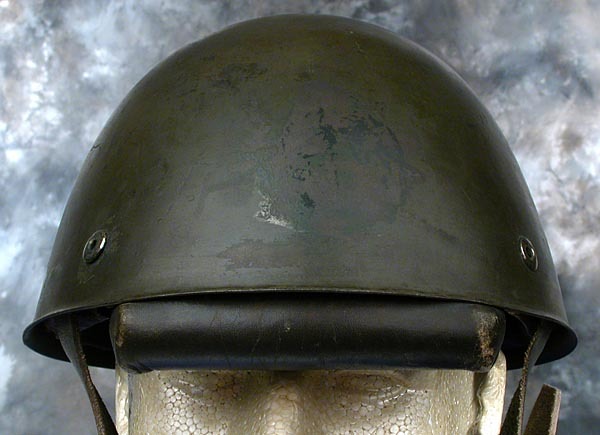 The parachute badge on the centre of the hat and the NCO’s stripe on the left. 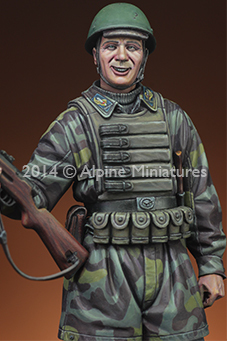 He carries the favoured sub machine gun of the Italian paratrooper the Beretta Model 38, his pistol and as well as a holstered M39 fighting knife which the Italian parras' carried. 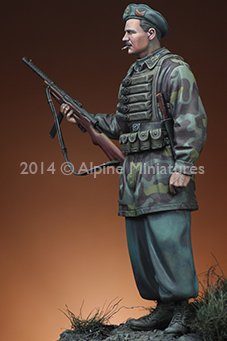 His camouflaged smock is covered by the “samurai” bodice ammunition vest for the mags of his Beretta. 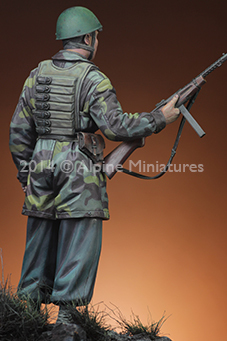 The mobile nature of these parras' style of warfare meant that they had to transport much of what they needed on their person so this and the twelve pouches for grenades covering his waist under his belt is faithfully replicated here in Mike’s sculpture. 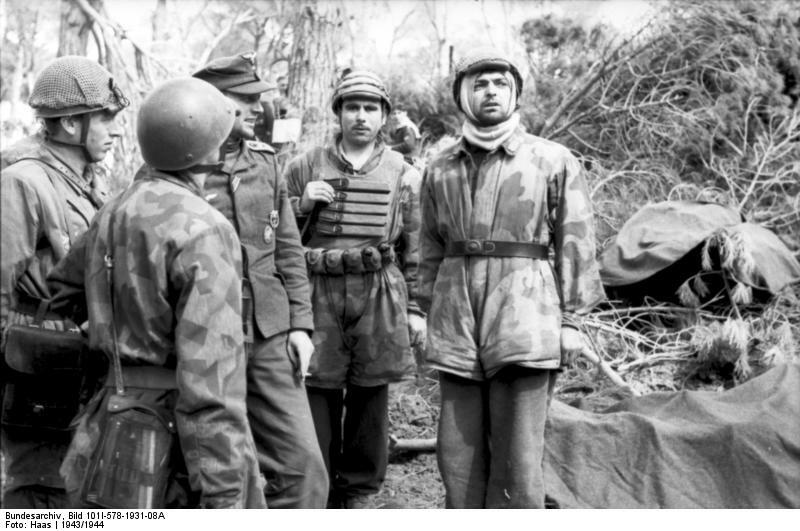 In his camouflaged smock you and see his collar protruding from his ammo vest with the RSI military symbol that replace the stars of the Italian army clearly. 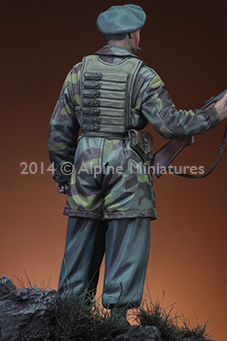 The pants are very folded and creased as would these pants be in real life. 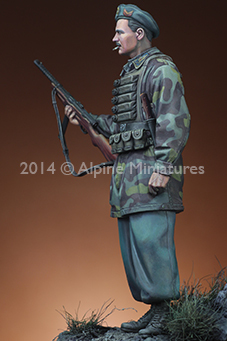 This figure is now available through Alpine Miniature’s Stockists worldwide.